Christmas traditions have always been important to me. My family had a few over the years that stuck with me and now that we’re getting closer to starting our own family, my husband and I are starting our own to share with our kids. While some of these may not stick, here are some ideas for Christmas traditions to bring everyone together during the season. This is something we did as kids – packed up in the van and drove to the fancy side of town to see how the big houses were decorated for the holidays. Now that we’re out of the city and in the nice suburbs, this is something I look forward to doing. My great-grandmother had a big Christmas village with sweet, lit homes and an ice skating rink with magnetic skaters. I have one of her old churches and plan to build upon that over time. I love having it next to me on the shelf and keeping it lit next to my favorite candle. What better way to look your best on Christmas morning than in a brand new pair of themed pjs? Last year I got a nice Tommy Hilfiger pajama set from my mom that I wore to open all my gifts. Every year we try to send out custom holiday cards, it’s always a fun project to work on for me. 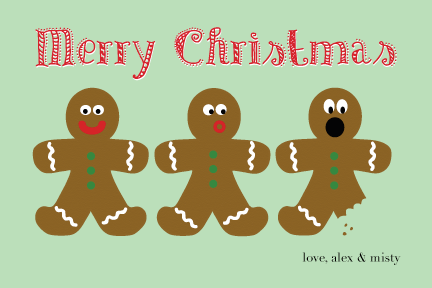 My favorite one (so far) has been our gingerbread men from 2011. I’m planning to add this tradition to the list in 2014 (and will blog about it later!). Grab a group of your friends, make some shareable snacks, and pop in your favorite holiday movies. I hope it will be a great, low-key way to celebrate with loved ones. This is a new tradition that my husband and I started when we got married. Our first year together, we bought a Mickey and Minnie newlyweds ornament while on our honeymoon at Disney World. 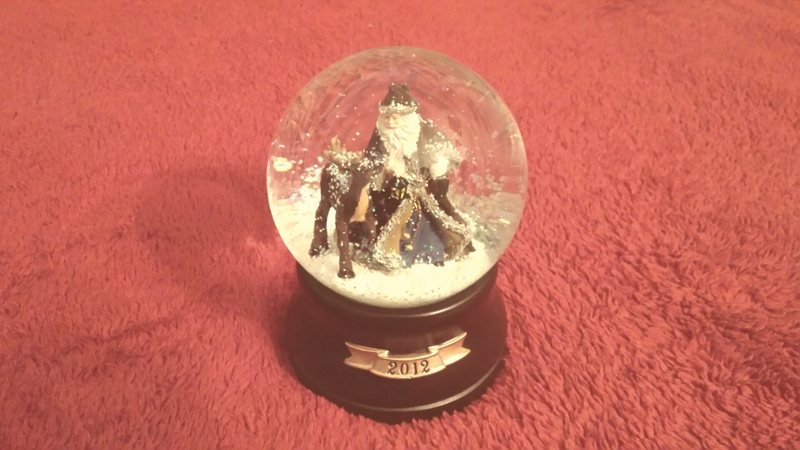 For our second Christmas we added a musical snow globe. Year three was the addition of our handmade ceramic nativity set. This year we bought a beautiful hand-crafted ornament from Poland while visiting Bronner’s in Frankenmuth, MI.